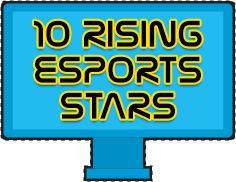 The eSports industry is growing year-on-year and a new generation of superstars has been born. 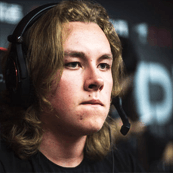 In an age when gamers are evolving from geeks to Gods, we take a look at the top 10 players that are set to become icons on the global stage. This 18 year old Pakistani player has garnered a great reputation in the Dota 2 eSports. 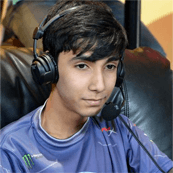 He’s become something of a prodigy and is now the third highest eSports earner of all time. What were you doing when you were 18? 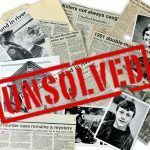 It’s probably best not to think about it because it’s certain you weren’t earning $2.4 million playing computer games for a living. In fact, you probably played computer games but that’s where the comparison ends. At just 18 years old and with 18 tournaments under his belt, it seems astonishing that Chinese player y’ has already amassed $1.9 million in career earnings. 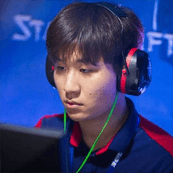 It could be said that y` is arguably the most promising eSports player in the world right now. 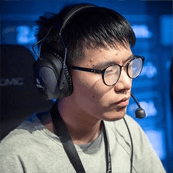 He currently plays for Wings Gaming and was a key member of the team that secured victory at last year’s The International tournament. All eyes are on the youngster as he looks to help his team become the first side to retain their title later this year. The second member of Wings Gaming’s prolific The International 2016 winning team is Faith_bian. 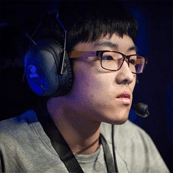 At 19 years old he is another teenager with hot prospects in the world of eSports. He’s already earned more than $1.9 million from Dota 2 and will look to help his team retain their title at The International 2017 in August. Like y’ he also only has 18 tournaments to his name, so he’s still very much a novice but he is well and truly on everyone’s radar right now. 2017 is set to be a defining year for this young man. 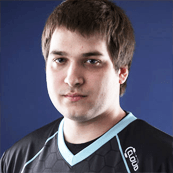 The second individual on this list to have played for the successful Evil Geniuses is Swedish player Zai. The 19 year old consistently earned more than $300,000 between 2014 and 2016. He secured pay out finishes at the past three The International tournaments too, plus he has total career earnings of $1.18 million. Add in the fact he’s also played for the highly rated Team Secret and you’ve got yourself one big rising star. In June last year, it was confirmed that Zai would be rejoining Evil Geniuses for The International 2017 in what is one of the most hotly-anticipated moves of the eSports year. Considering he first burst onto the scene at 14 years old by winning DreamHoN 2012, it feels like Zai has been around forever. 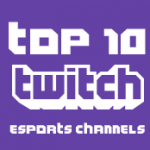 The only Romanian eSports player to make this list is 22 year old w33. He’s one of the most understated players on this list but he has already earned $1.16 million in winnings since he first started playing professionally. W33 began playing the original Dota back in 2004 and has carved a stunning reputation for himself. At the moment he plays for Digital Chaos but he’s also had spells with other teams, including Balkan Bears and Team Secret. He raked in close to $1 million in 2016 alone thanks to a runners up finish at The International and a victory at the Shanghai Major. 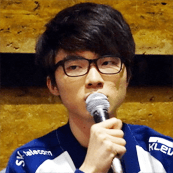 A solitary League of Legends player appears on this list in the form of Faker. The 20 year old South Korean player has lit the LoL world up with his displays of hyper-aggressive play. He is widely considered the greatest LoL player of all time. Not a bad accolade to have at such a young age. His glittering career has seen victories in a range of tournaments such as the 2016 LoL World Championship, LoL Season 3 World Championship, 2015 LoL World Championship and the 2016 Mid-Season Invitational. He has career earnings of $897,000 which is unprecedented for a LoL professional. The most impressive thing about US-born Lethul is not only his total earnings reaching $485,000 but the fact he’s pulled it off in just 29 tournaments. The 23 year old plies his trade on Halo 5: Guardians. It’s an unorthodox weapon of choice but it appears to be working. He earned $289,500 in 2016 and has already almost hit the halfway mark of that figure this year. Lethul is putting Halo 5: Guardians firmly on the eSports map and is expected to be around for a while yet. At least with that username if his eSports career flops, he can always try his hand at a being a rapper. The top earning eSports player of 2017 so far is South Korean TY. The 22 year old has enjoyed a stunning start to the year already, bagging $304,820 in tournament winnings. That’s almost double the earnings of his closest rival in this calendar year. His game of choice is Starcraft II and it’s likely his ranking will fall after The International 2017 but he is setting tongues wagging with his dominance so far. Call of Duty: Black Ops III was a game that took the console gaming world by storm. 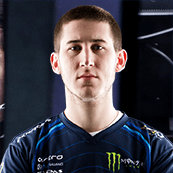 However, American player JKap is the only eSports player from the game to make this list. 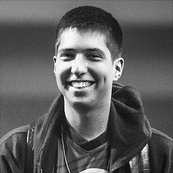 JKap has earned $459,367 from 62 tournaments. He has endured a slow start to 2017 after a stunning 2016 but at 22 years of age, he still has time on his side to continue to improve. Maybe the high life of eSports gaming with all the girls, drugs and booze has sent him down a dark path. The rest of the year will be a telling one for this potential icon. 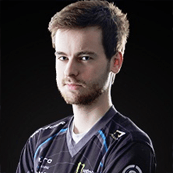 The only Counter-Strike: Global Offensive player to make this list is Frenchman NBK. The 22 year old is relishing his most lucrative year for earnings already having sealed $161,750 this year alone. 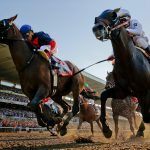 His previous best was $118,083 back in 2015. 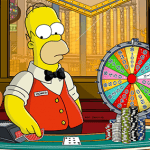 He has increased his total earnings by nearly 50% over the past year, showing he is very much a player on the rise. The fact he is doing it for such an old-school game makes him a favourite with the purists too.